Since launching, one of the most frequent requests has been "When will I be able to chat and book travel from my desktop computer, rather than only on my mobile phone?”. Our answer? Now. Today, we’re excited to announce our newest platform—Pana for Web. This builds upon Pana’s existing product to create four ways for members to communicate with their team of travel experts: SMS, email, mobile app, and web browser. “We built Pana to put a 21st-century travel agent in your pocket. With Pana for Web, our members now have the same expert support available on their desktop, both at work or home.” said Devon Tivona, CEO at Pana. 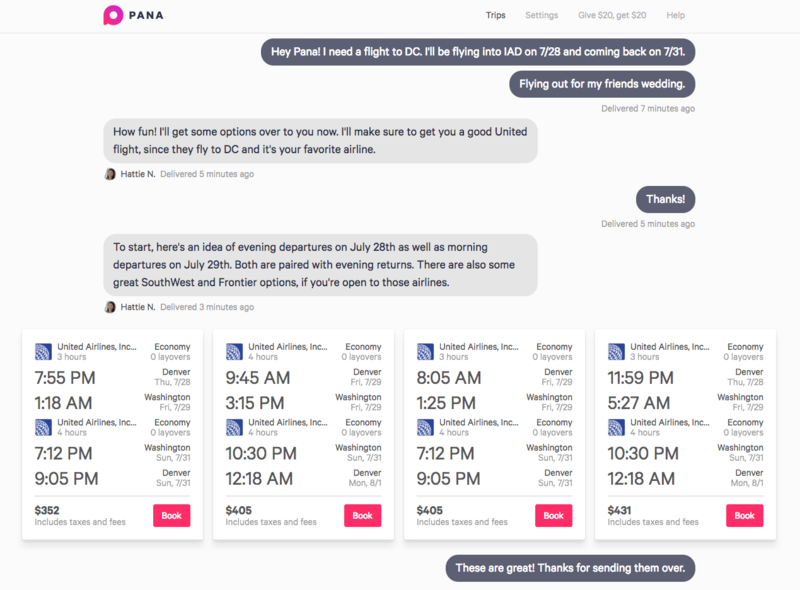 Pana for Web allows members to chat with their expert team, review travel options, and book right from their desktop computer. The platform is mobile friendly, allowing you to use it from any mobile device or tablet. In addition, we’ll keep your conversation updated across all of our platforms by syncing messages across each platform. So if you send a message on your iPhone, you’ll also see it on the web, and vice versa. 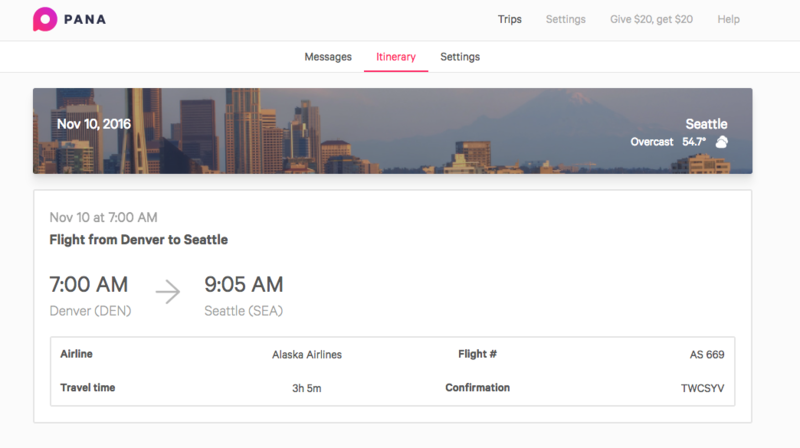 After you’ve booked your travel options, such as a flight and hotel, you’ll be able to view all the details in the itinerary section of each trip. Additionally, when we launch our new travel itinerary platform later this fall (crosby.pana.com) we’ll support all of your travel options, regardless if they were booked with Pana or not. The best part—if your company has as teams Pana account (pana.com/teams), Pana for Web empowers office managers and executive assistants to coordinate their entire team’s travel straight from their desktop. Pana’s suite of corporate travel tools also gives teams easy access to travel reports, receipts, and the ability to build simple travel policies. At Pana, our aim is to make travel a better experience through modern technology and quality service. Pana for Web takes us a big step that direction by democratizing the Pana experience and allowing anyone, regardless your device, to fully engage with Pana. To access Pana web, log in to your account here. Or, if you are new to Pana you can start a free 30-day trial here!